We love colour. Don’t you? 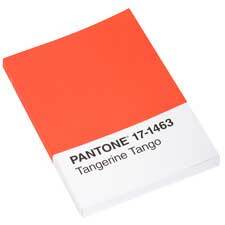 If the answer is yes, then you’ll fall head over heels for summer’s biggest hit (and Pantone’s 2012 colour of the year): Tangerine Tango. This punchy orange jazzes up your wedding style with its bright spirit, whether it takes the main stage or simply accents a lovely neutral. The colour is, according to Pantone, “Sophisticated, dramatic and seductive” and “marries the vivaciousness and adrenalin rush of red with the friendliness and warmth of yellow, to form a high-visibility, magnetic hue that emanates heat and energy.” Well said! 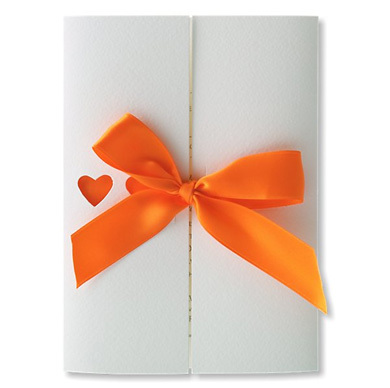 The vibrant colour of the ribbon and peeping tangerine windows looks smashing on your wedding invitations. The versatile orange colour works well as an accent to pretty neutrals like whites, creams, golds and browns. 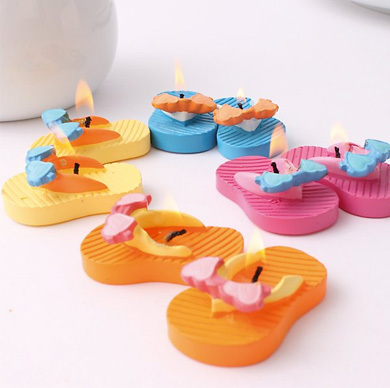 You can virtually incorporate it anywhere you like on the reception tables, including funky candles and your guests’ favours. Bride&Groom Direct simply love the natural colours brought by real flower petals, while they also make an environmentally wedding throw. 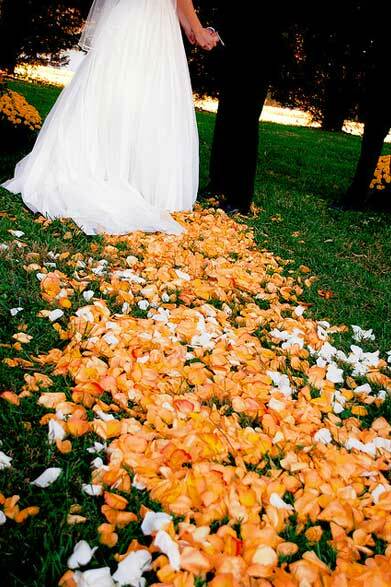 Choose Real Flower Petal Confetti for your wedding. A chic line of ladies-in-waiting makes you look good. Dessy has partnered with Pantone to create dresses that match their colours perfectly! There are tons of styles to choose from, so you can even mix-and-match dress styles to complement each of your ’maids curves. Check out styles here. 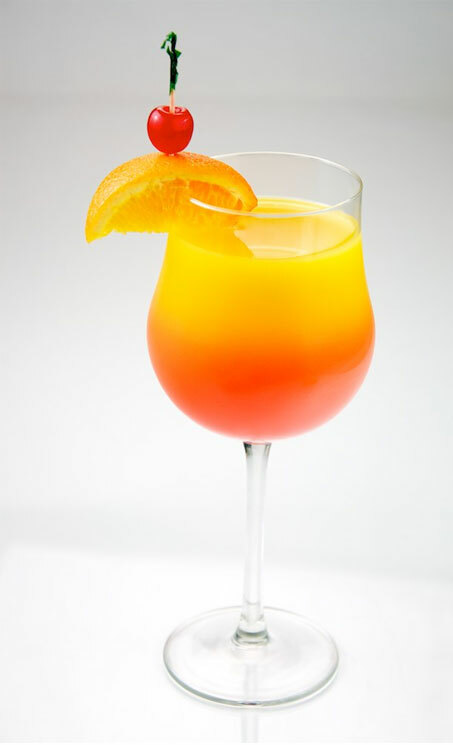 The party may be over, but your love for this colour certainly isn’t. 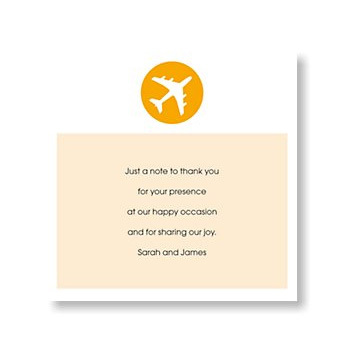 Make their day by sending a fun thank you card.